For those unfamiliar with the “Apocrypha,” the title Bel and the Dragon may sound like a child’s story. Whatever you may think of the story, it is simply an addition to the book of Daniel and it has the topic of idolatry as its main interest. Within this addition, Daniel confronts two foreign idols: Bel (an idol made of clay that supposedly eats and drinks the feast provided for him by supplicants) and the dragon (a live…well…dragon). [spoiler alert] They aren’t really gods. Bel doesn’t eat and drink the meal provided him, instead the priests do. The dragon can be and eventually is killed by Daniel’s ingenious plan to bake pitch, fat and hair into cakes and feed them to the dragon. And now…to the article. I must say that Claudia Bergmann’s article was one of the most pleasant and interesting reads in this book thus far. Bergmann’s task is to compare idolatry in Second Temple Literature (~530BC-70AD). Idols are perishable (they can be burned and destroyed, yet this is always done by God or as an agent of God). Idols are manmade, inanimate, and powerless. Examination of the human psych for why humans worship idols occurs. Bergmann postulates that this is due to the fact that topics like law, covenant, land, Exodus, and creation differintiated the Hebrews from being perceived as enlightened Hellenists. Bergmann now looks to Exodus 20:23; Jeremiah 10:6-8, 10 in order to compare the Greek and the Hebrew versions. He observes that, while the Greek text generally is in agreement with its Hebrew parent text, when there are major differences between the texts the Greek text brought into harmony with the 2nd Temple ideology of idolatry. 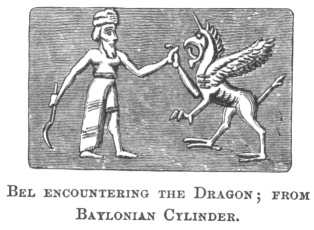 Bergmann concludes the article with a look at Bel and the Dragon. What is of most interest is the differences between the Old Greek version and Theodotion’s recension of Bel and the Dragon. 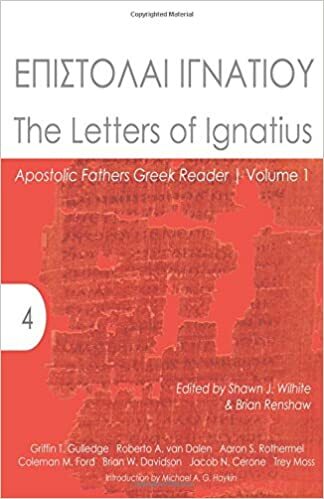 The OG version has leanings towards “wisdom literature.” It suppresses elements about the LORD, softens the possible conversion of the Gentile king, and the destruction of the idols and priests is mitigated. Theodotion’s version has nationalistic leanings in that it recounts the utter destruction of the false priests, the destruction of the two idols, and the “possible” conversion of the king. What is the main take away here? Don’t eat baked tar, fat and hair. Though it may smell tasty, if it can kill a dragon, it will most likely kill you! This entry was posted in LXX and tagged "Septuagint Research" Summaries. Bookmark the permalink.